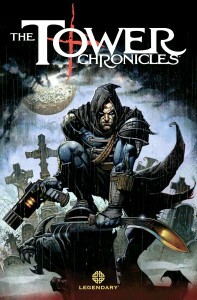 Widely known for his original works Grendel and Mage, creator Matt Wagner may best be known in recent years for his work at DC Comics involving Batman including re-imaginings of the hero’s earliest adventures in Batman & the Monster Men and Batman and the Mad Monk (known collectively as Batman: Dark Moon Rising). Born and raised in rural Pennsylvania as the only child of an English teacher (who encouraged her son to read), Wagner would begin drawing at an early age finding inspiration in Joe Kubert’s DC Comics run on Tarzan and Alex Toth. Wagner would first see his comic book work published by the Norristown-based Comico Comics in Comico Primer #2 (1982). Comico was a newly established publisher Wagner became involved with through attending art school with some of its founders. The publisher helped introduce such well-known creators today as Sam Kieth, Chuck Dixon, and Bill Willingham. Wagner’s first work was in the second issue the publisher ever produced and his character Grendel (who Wagner created at age nineteen) would largely become the flagship character of the company. 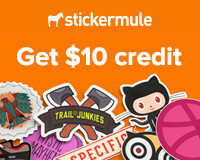 Even after securing licenses to produce adaptations of Robotech, Jonny Quest, Star Blazers, The Rocketeer, and Space Ghost as well as generate original works like The Elementals, Next Man, Justice Machine, Evangeline, Fish Police, and The Maze Agency, Wagner’s Grendel was a consistent seller. By day, Hunter Rose was a wealthy, successful author, but by night Rose became Grendel, accomplished assassin. Wagner would weave an intricate tale that grew into its own mythology while using innovative, stylistic art and storytelling techniques. 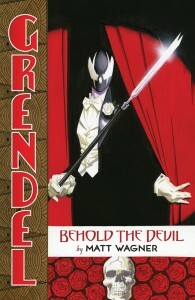 Shortly after Rose’s introduction as Grendel, Wagner would kill off the character and introduce the concept as a legacy with several people inheriting the killer’s mantle. Comico would go bankrupt in 1989 and cease operations the following year. Beginning in 1993, Grendel would become a mainstay for Dark Horse Comics (another new comic company that popped up a handful of years after Comico emerged). Shortly after the creation of Grendel, Matt Wagner would generate arguably his second most identifiable franchise (this time going in a completely opposite direction for his protagonist). Admittedly partly based on Wagner himself, Kevin Matchstick is some modern day King Arthur in the pages of Mage mentored by the wizard Mirth (Merlin) and who wields an enchanted baseball bat (Excalibur). 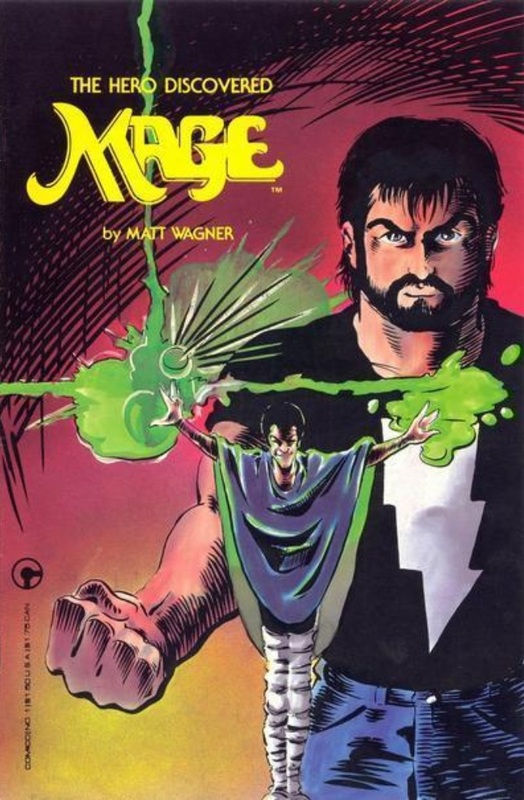 Originally published by Comico (with short stories reinventing Grendel in backup tales), the publisher’s bankruptcy led to Mage‘s move to Image Comics. In the pages of the series, Matchstick would team with other mythological heroes battling supernatural forces referencing Greek and Mesopotamian myth and the works of William Shakespeare. The first volume, The Hero Discovered, was published by Comico for almost three years as the second volume, The Hero Defined, went to Image for about two years and a third and final volume, The Hero Denied, planned but as yet announced. Despite coming from the start of his career, Grendel and Mage would become works consistently referenced while Wagner has placed his mark on various other projects, likely most notably on pre-established DC Comics properties. In 1986, Wagner would begin his longstanding relationship with DC. Shortly after his emergence at DC Comics, Alan Moore would become the man with the Midas touch, generating interest in virtually every title he laid hands on for any significant matter of time. His first work at the publisher was Swamp Thing, a poor selling science fiction monster title that Moore turned into a magical journey into mythology and philosophy. His success generated renewed interest in supernatural content at the publisher including Jack Kirby’s Etrigan the Demon, who was featured in Moore’s run where he added a rhyming convention for the character that has lasted to today. A mini-series for the Demon would be produced following this re-emergence written and drawn by Matt Wagner. A few years following the mini-series, The Demon would become an ongoing title with another creative team. 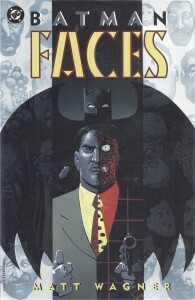 In 1992, Wagner would see his first Batman story published by DC in The Legends of the Dark Knight series for the storyarc “Faces” revolving around Two-Face. However, this wasn’t his first turn with the Caped Crusader. 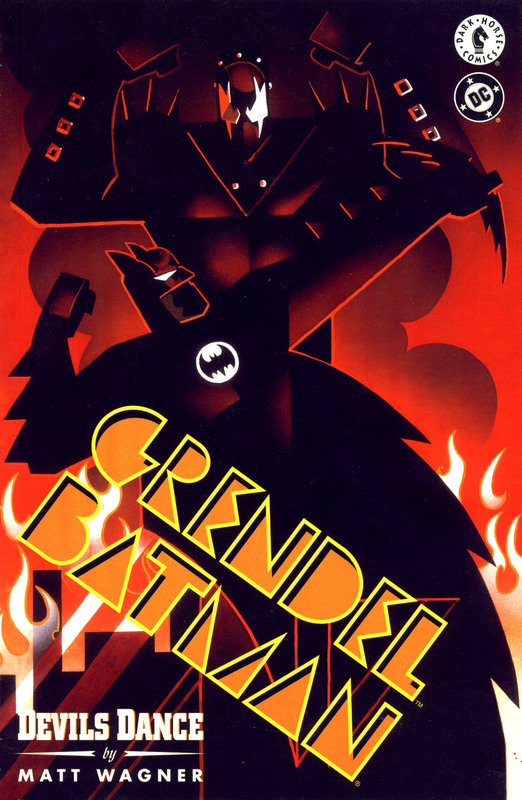 The creator had previously written and drawn a crossover between Gotham’s hero and his original creation Grendel for Comico that was shelved following the publisher’s bankruptcy. The story would finally see print published by DC in 1993 in Batman/Grendel as Hunter Rose seeks to pit his skills against the hero. The same year the Dark Knight battled Grendel in print, Matt Wagner would co-write a new series for DC Comics’ mature imprint Vertigo alongside Steven T. Seagle. Sandman was a Golden Age superhero in the vein of the Green Hornet, the Shadow, and Batman (skating between elements of pulp fiction detectives and comic book mystery men). Son of a wealthy investor, Wesley Dodds traveled across Eastern Asia where he learned martial arts and various other forms of knowledge foreign to most Americans. 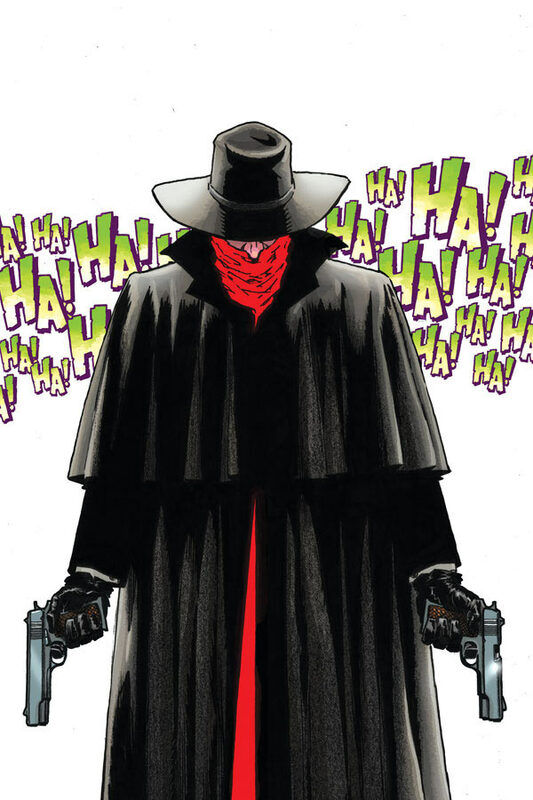 When the character originally appeared, he was given little detail regarding his origins, simply becoming the Sandman at night where he fought crime employing a gas gun that would put enemies to sleep (prompting Dodds to wear a gas mask to protect himself). Just as Alan Moore was a British export that helped reinvigorate DC Comics, another British writer in Neil Gaiman would produce a new hit series for the publisher in 1989. In Gaiman’s The Sandman, the author would tackle the mythological Sandman, referred as Dream, and his endeavors as the personification of the world we enter when we sleep. 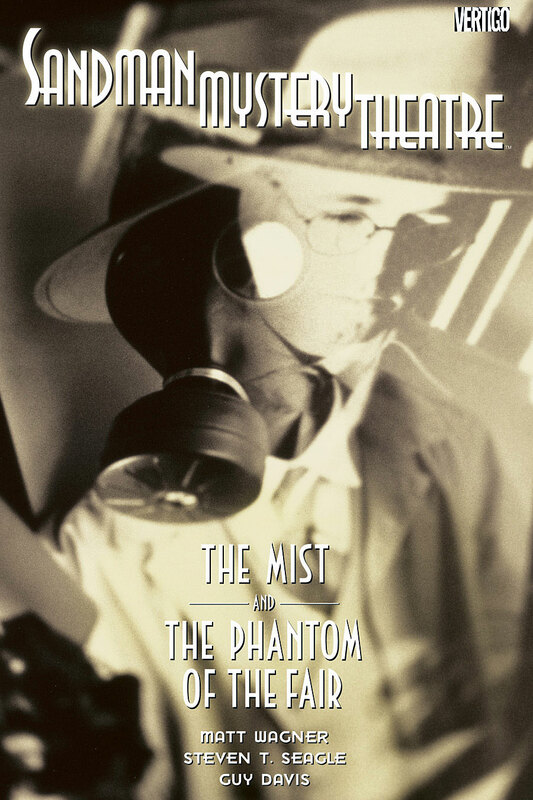 In 1993, DC would have the title Sandman Mystery Theatre premier as part of the second month of new titles for their fledgling Vertigo imprint featuring Wesley Dodds with his origins now tied to Dream. Wagner and Seagle would approach their work in a noir-style re-imagining the earliest adventures of the Sandman teaming the hero with his girlfriend Dian Belmont (drawing allusions to The Thin Man‘s Nick and Nora Charles). Wagner would go on to collaborate with Neil Gaiman where both of their Sandmen would meet in the one-shot Sandman Midnight Theatre in 1995. Sandman Mystery Theatre would remain in print for six years with Wagner co-writing for five of those years. While Matt Wagner was working on Sandman, he continued to produce content for his Grendel franchise, earning an Eisner award for the mini-series Grendel: War Child in 1993. 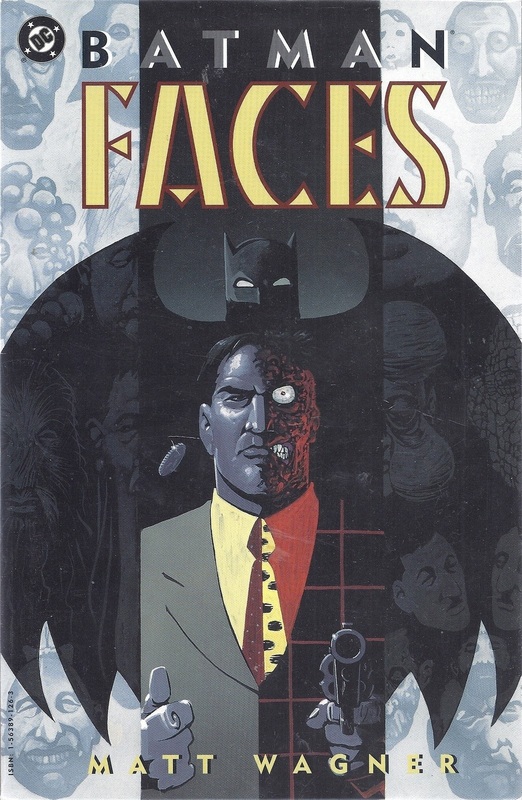 With Batman Forever in movie theaters in 1995 featuring Batman taking on a partner in Robin while battling emerging foes Two-Face and the Riddler, Wagner would produce a one-shot entitled Batman: Riddler and the Riddle Factory. In the tale, the Riddler begins a television program exposing humiliating secrets of the rich while contestants would try to earn cash prizes. 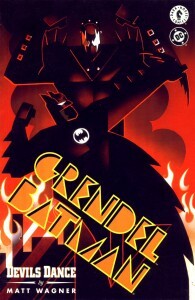 The following year, Batman and Grendel would again cross swords but this time the Caped Crusader would battle Grendel-Prime from Wagner’s War Child mini-series. After Sandman, Wagner would pen a mini-series featuring another Golden Age mystery man in Doctor Mid-Nite in 1999. The same year, Wagner would snag two more Eisners for his mini-series Grendel: Black, White and Red telling short stories of Hunter Rose featuring guest creators. In 2001, Wagner would become a frequent cover artist for Green Arrow following the character’s resurrection under the pen of scribe Kevin Smith. Wagner would tackle DC Comics’ biggest three heroes in their first meeting in 2003 with Batman/Superman/Wonder Woman: Trinity. For the mini-series written and drawn by Wagner, the trinity had to face off against Ra’s al Ghul, Artemis, and Bizarro. 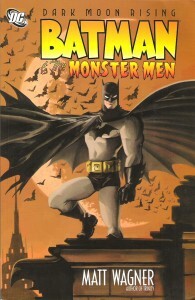 The year after, Wagner would start work as a frequent cover artist on the monthly Batman series. Marvel Comics would release a number of successful live action films leading Warner Bros, the parent company of DC Comics, to restart their Batman film franchise which had run off the rails some years prior. The result was Batman Begins, detailing how Bruce Wayne journeyed to become Batman, which proved to be a hit with movie goers in 2005. DC Comics would return to one of Batman’s earliest adventures that year with his greatest foe in the comic book mini-series Batman: The Man Who Laughs re-imagining the Dark Knight’s first encounter with the Joker from the pages of Batman #1 (Spring 1940). Later that year, Matt Wagner would also produce a mini-series based on a tale from that same early issue of Batman’s career. In the original tale, Hugo Strange had developed a formula to turn men into man monsters in his latest battle with Batman. 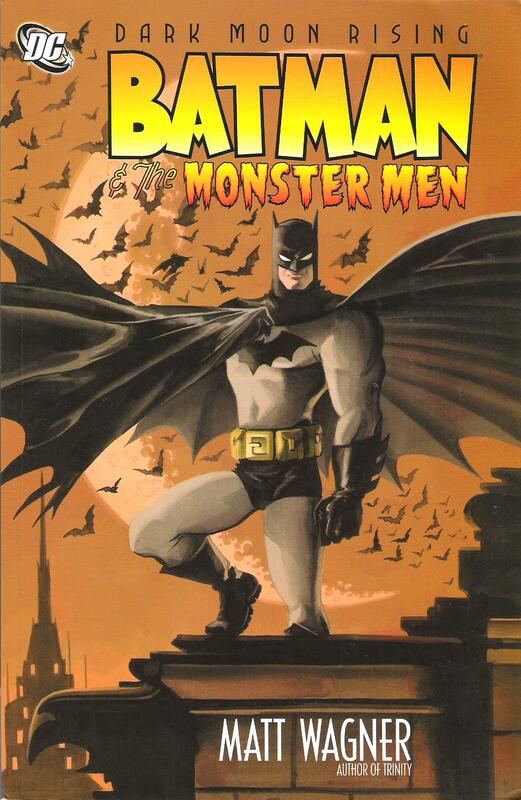 In Wagner’s Batman & the Monster Men, the story is similar but takes place after the events of Batman: Year One and before Batman’s encounter with the Joker as well as retconning the events as the Caped Crusader’s first encounter with Strange. The following year, Wagner would re-imagine another early adventure of the Dark Knight, this time Detective Comics #31 (September 1939). Despite taking place earlier, Wagner would retroactively place the tale after the last mini-series but still before Batman’s initial encounter with the Joker. Batman and the Mad Monk details the hero’s first encounter battling the supernatural as he fights the Monk, a vampire from Transylvania. The two mini-series make up the Dark Moon Rising series. 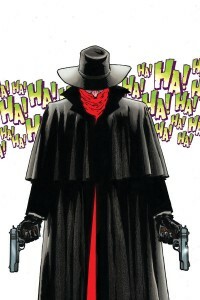 Following Matt Wagner’s time with Gotham’s Silent Guardian, the creator affixed his creativity on obscure DC Comics character Madame Xanadu in a Vertigo series jumping through time from her origins in the Arthurian age where she combated Merlin to her dealings with Kubla Khan, Jack the Ripper, and the Golden Age of superheroes in America. Around the same time, Wagner would take creative control of Zorro, the swashbuckling pulp character that heavily influenced Batman, who was licensed by Dynamite Entertainment for an ongoing comic book series. Wagner would continue at Dynamite following his Zorro run by tackling its recently acquired license for the Green Hornet. While Kevin Smith was producing a monthly series about the son of the original Hornet, Wagner spearheaded the origins of the original and Kato in Green Hornet: Year One. However, Wagner wasn’t yet done with Zorro and would write the character again in the limited series Zorro Rides Again. Wagner’s latest project has him teaming with Legendary Comics, a publishing arm of Legendary Pictures, in Tower Chronicles alongside fellow legendary creator Simon Bisley. The series follows supernatural bounty hunter John Tower as he battles various monsters in a mash up of genres including horror, science fiction, sword and sorcery, action/adventure, romance, and more. This new project differs in that instead of monthly installments, it’s released as graphic novels with a single book released thus far, a second to be released December 2012, and a third book written and drawn to complete the trilogy. Currently, Wagner is also developing a series for Dynamite in Shadow: Year One outlining the pulp legend’s origins set to premier in 2013. MARVEL COMICS IN THE 1970s is available for preordering now! Wagner will next tackle Shadow: Year One for Dynamite.